This is a great article and very detailed for the Penair Air Itam Assam Laska sounds like a wonderful place to visit and cost effective as well. 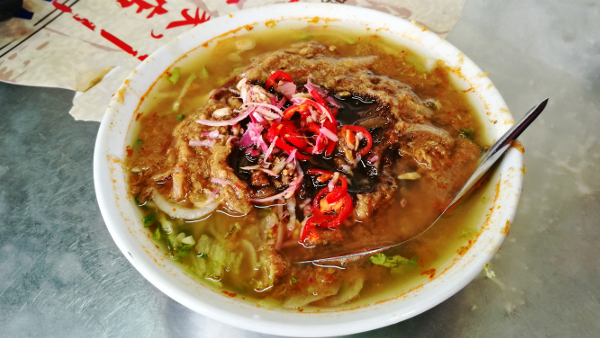 I love the flavor of sour sweet and spicy and think this would be on my list of too do’s if I ever get to Penang. I have always been interested in different foods and different cultures. You struct my interest with the Muah Chee it looks delightful, can you tell me what is in it? I am all about desserts. Hi Dena! 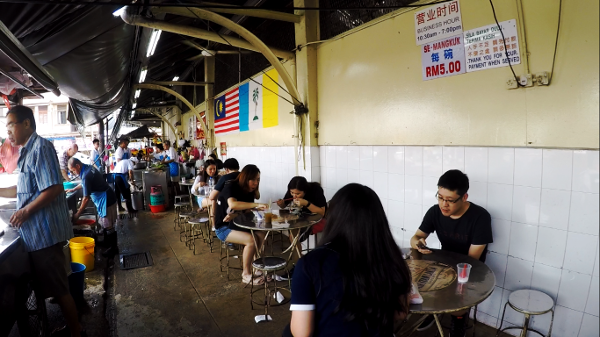 The Pasar Air Itam Assam Laksa is definitely a good choice when you are in Penang. Oh my god! Isn’t this the best food on earth? I am from Johor Bahru but now I am living in London. 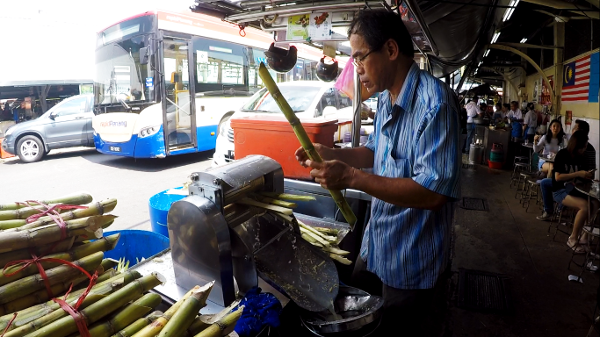 I have been to Penang before but haven’t actually tried this. Arghh I am saving this post! Gonna visit this place once I’ve got the chance. Looking forward to your next post! It truly is, Crystal! You’re from JB? I’m in Singapore! And wow! How is it living in London now? 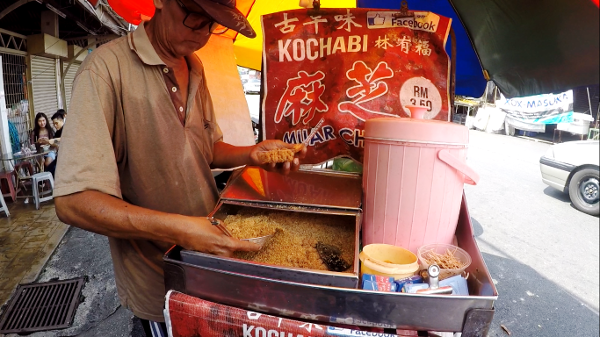 Oh, you must try this when you are back, and in Penang. It is awesome! 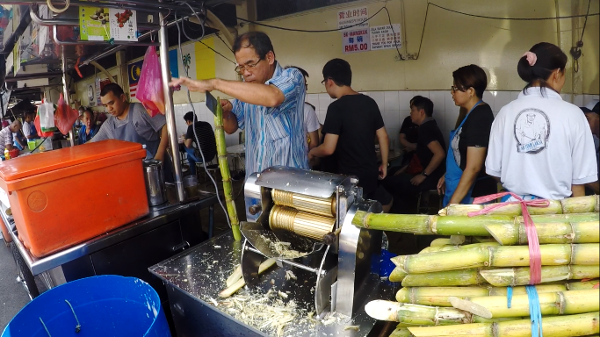 I love sugar cane juice, but I got some serious stomach problems from it last time I had it in India. Apparently the machine wasn’t terribly clean and I have a weak American stomach. Would I need to worry about this here as well, or is it safe for a foreigner to dive right in? Wow, your photos are great and really made me want to visit! The muah chee looked interesting. I’ve never heard of it before, can you tell me what it is? Thanks Amy! Glad you like my photos. All taken by me. Including the video too. your posts on Penang are quite interesting to me, I have someone one day I would like to meet there if the opportunity ever becomes available. The food looks delicious and tempting, but I have many food intolerance and allergies and I wonder if I can go to Penang and eat their food? One day maybe I too will experience Penang, but for you I am enjoying every post of yours on Penang. Thanks Jeff. 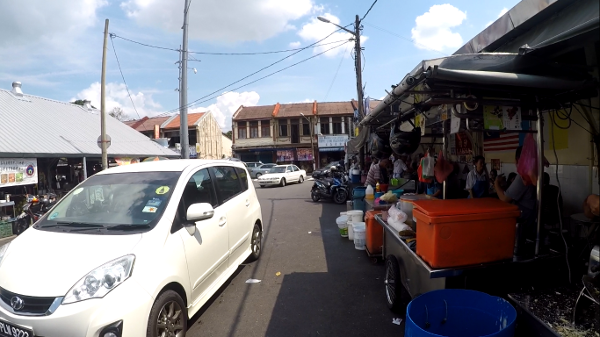 I am happy that you are enjoying my posts of Penang. And I too hope you will get to experience Penang one day. 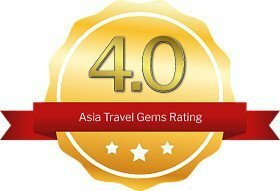 When you decide to visit Penang, please do consider booking with Agoda. 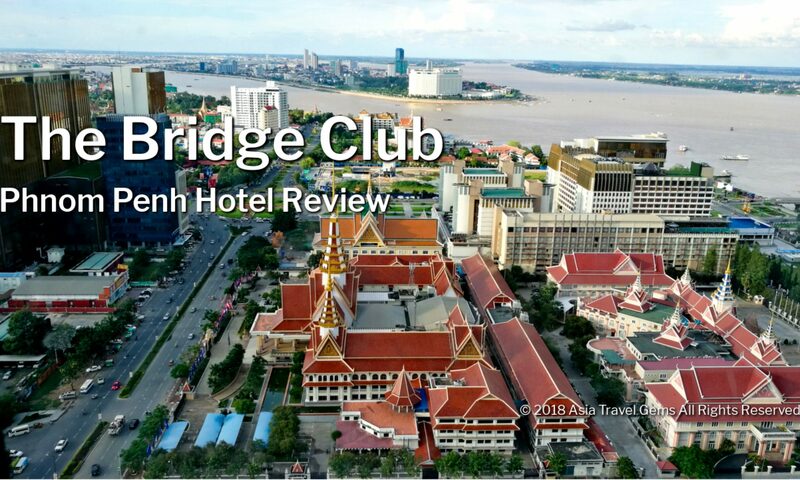 They have great discounts for hotels that are really good. Regarding your food allergies and intolerance, what are they? Perhaps I can help you find out? The look of this food is making me hungry!! I am a huge soup fan and I love to cook and eat food from many cultures. I have never tried this soup dish Assam Laksa but now it is on my “must haves”. It sounds like everything I love combined into one delicious dish! I want to visit. I may not to ever want to leave! At least not without an authentic recipe or a tutorial on how these delicious dishes are made. Thank you for sharing this! Hi Christina. Very happy that you enjoyed this post. The Assam Laksa is indeed a very delicious dish! 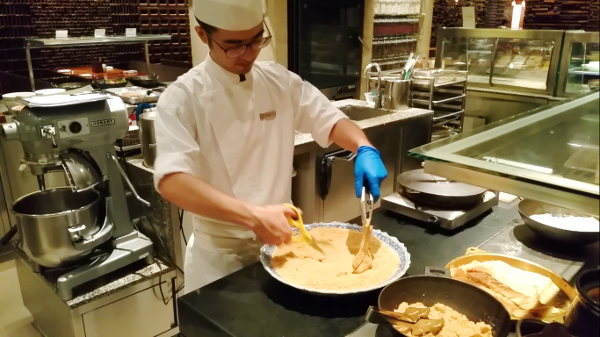 It is a popular dish, and with many variations of it in Southeast Asia. 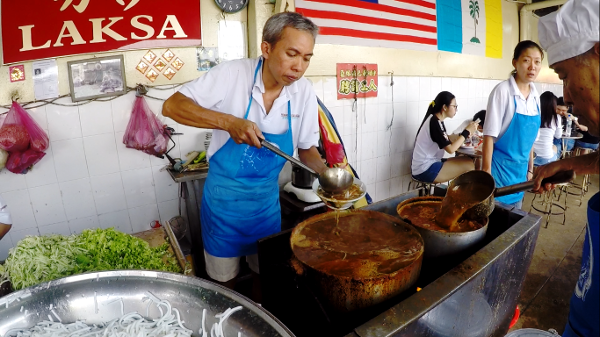 But everyone here knows that if you want to taste the authentic taste of Assam Laksa, you must go to Penang. Do try it when you are there. I totally know what you mean when you say you might not ever want to leave. That was how I felt when I was there. I miss Penang. And I long to visit this amazing city again. You are doing an exceptional job sharing about Penang, I must admit the food appears to be very tasty. 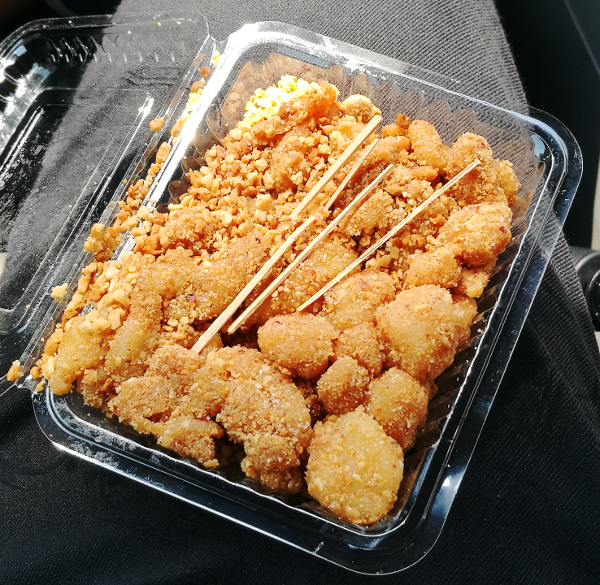 Being an American most of the food in your post is brand new to me, I really love how you supplied ways to visit Penang. 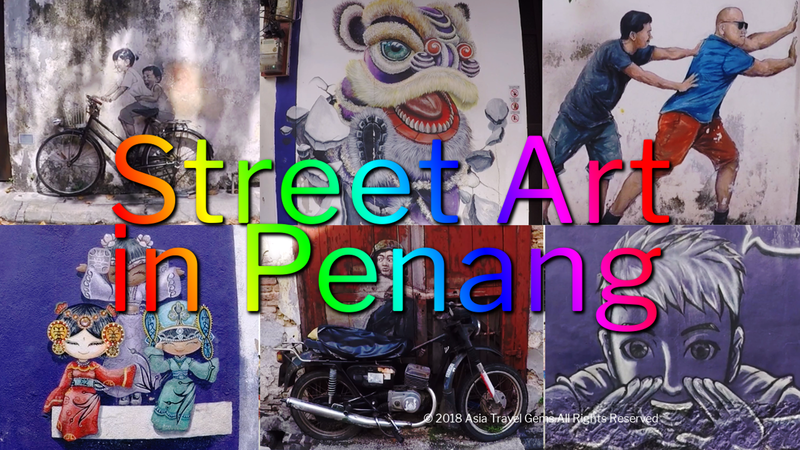 I hope to visit Penang myself one day, and this is all because of your posts.